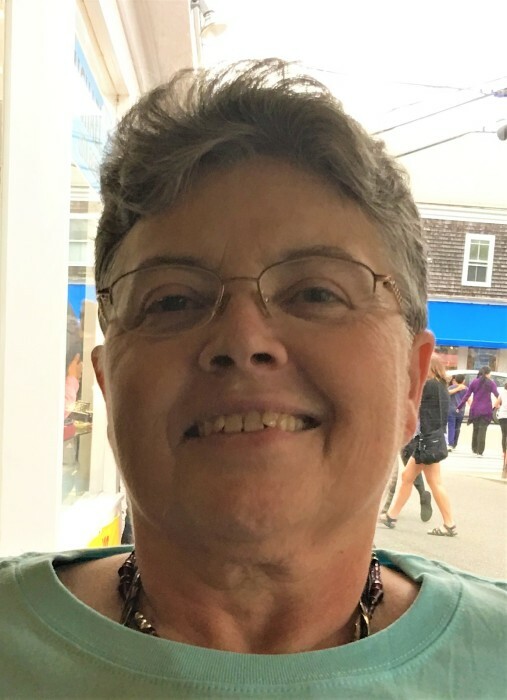 D’Marie, 64, of Albany passed away peacefully at home on January 5th, 2019 of Ovarian Cancer. She was surrounded by her partner, Katherine, sister Tawnda-Liea, and family. D’Marie was born in Burlington Vermont on March 16th 1954. She is the daughter of Edward (June) Barnes Jr, Texas and the late Eleanor Arno Barnes of Massena NY. She is survived by her partner of 38 years, Katherine Wilson, her step children Lesa (Chris) Bentley of Illinois, Jason (Star) Alexander of Rhode Island, and Joshua Alexander of Albany. D’Marie is also survived by her 5 grandchildren Jacob, Marsden, and Astrid Bentley of Illinois, and Wenona and Maxx Alexander of Rhode Island, her sister Tawnda-Liea Barnes of Albany, brothers Edward Barnes III (Polly) of Texas and Raymond Barnes (Wanda) of Rochester NY, She is survived by her Aunts Shirley, Esther and Gwen, and Uncle Glenn, nephews Eddie and Douglas Barnes and niece Ray-Lynn Barnes, sisters Sanae and Rachael of Texas, her dear friend Arlene Reid Barnes of Florida and Jim and Jane Phelps of Governor, NY. D’Marie has had many accomplishments: In the 70’s she and Wally A. started the first Gay AA meeting in Albany. Many meetings the two of them were the only attendees until the meeting took off. D’Marie is a friend of Bill W. and Lois and would have had 43 years if sobriety January 29, 2019. She became an alcohol counselor, she received her BA in Psychology from SUNY Albany in 1977. Graduate from the Summer program at Rutgers University in New Jersey1986. Earning her CAC in June of 1986, and her master’s degree in social work from SUNY Albany May of 1991. She started her first private practice Journeys Counseling Center in November 1992 - 2014. In 2015 she started Disability Solution: her practice as a Non-attorney reprehensive for clients getting social security disability benefits. She had 90 cases and won 87 of them the first time the client and she went to court. That percentage of won case is practically never heard of. Most non-attorney reps win about 10 percent of cases the first time. Most case take at least twice going before the court and usually it is 3 or 4 time before a win, and it takes years. D’Marie was very thorough with her cases. If you wish to donate in D’Marie name, her donation of choice is Parkside Veterinary 172 Morton Ave. Albany 12202.